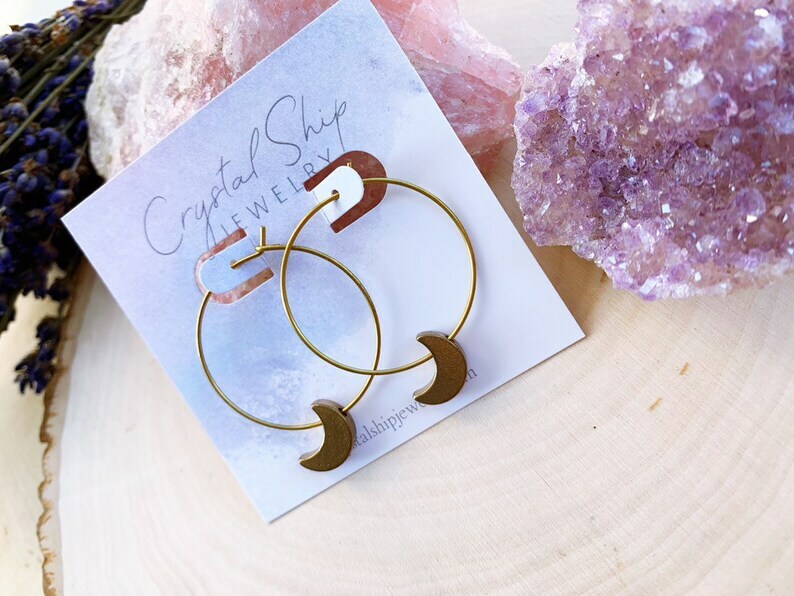 Light as a feather gold brass hoop earrings. 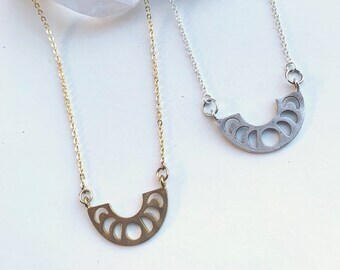 Super lightweight brass hoops with gold moon crescents. Measure 1.5 in from top to bottom.